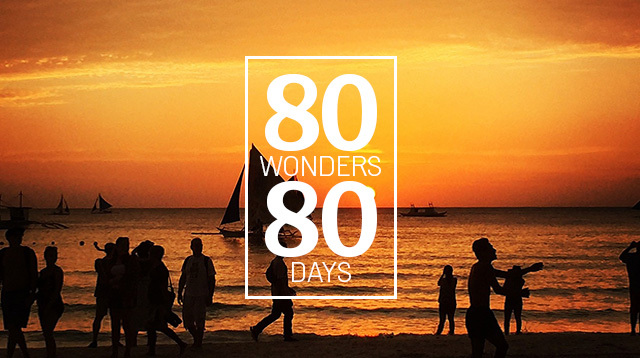 You Can Go Around The Philippines In 80 Days For Free! Calling all travel enthusiasts out there! A travel competition organized by Travelbook.ph (a Philippine-based hotel booking website) and StopSleepGo (a U.K.- and Philippine-based vacation rental booking site), Juanderlust, is looking for that one person who has what it takes to go around the country for 80 days to visit all the regions. The winner, the "Chosen Juan," will discover and experience the 80 wonders of the Philippines and will be able to showcase its culture, people, and undiscovered sites to a global audience hence helping the Philippines' tourism grow. Check out the competition's video to get you psyched! Anyone from any part of the world can join—a student (not younger than 18 years old), an office worker, a blogger, a seasoned traveler, or backpacker. You just need to have a valid passport, be of age, and be physically fit to travel. Interested? Signups are now open and will run until November 15, 2015. Just visit Travelbook.ph/juanderlust, fill out the app form, and submit your answer to "Why should you be the Chosen Juan?" in text and video format. The winner will be announced on January 2, 2016, and the 80-day adventure will begin on the second week of January and end on the last week of March. For more information or for inquiries, visit Travelbook.ph!